It’s easy to believe that President Duterte is tired and weary.He is 73 years old and not the healthiest person on earth. The two years as chief executive of the country showed that he does not have what it takes to be a national leader. But he will not resign. For the simple reason that he has to make sure that he doesn’t end up in jail for all the crimes that he would be charged with once he is out of power. That’s why he wants to make sure that his successor is someone who will protect him. And that’s former Senator Ferdinand “Bongbong” Marcos or Sen. Francis Escudero for him. It has nothing to do with competence. Duterte is the last person to talk about competence. He said he doesn’t want Vice President Leni Robredo to succeed him. From a president who swore to uphold the law, this statement does not speak well of his sanity. Political analyst Segundo Romero Rodrigo Duterte in his piece, “The most dangerous president the Philippines has ever seen” said “The treacherous part is when he openly tempts the military to form a military junta to take over from him, instigating the military to violate the Constitutional provision that the Vice-President is the constitutional successor if the President resigns or is unable to perform the duties and functions of the office of President. Successor to Presidency is defined in the Constitution. A President just cannot appoint or pick a successor. Any one who thinks that way is never qualified to be a President! It's doesnt matter, the next president will not be from LP. That's for sure! MANILA, Philippines — After raising the specter of a military takeover and brushing aside the constitutional provision on succession, President Duterte yesterday said his announced plan to resign was just an “afterthought” – borne out of frustration over the continuing drug menace and corruption. “I was frustrated. But remember that I was addressing myself to the military and the police and nobody else. What you heard was an afterthought, actually,” Duterte said at the Hugpong ng Pagbabago Convention in Davao City last night. He cited in particular his getting wind of the anomalous activities of some officials at the V. Luna Medical Center. At a Go Negosyo event earlier this week, Duterte said he was thinking of resigning out of exhaustion, but made it clear he didn’t want an “incompetent” Vice President Leni Robredo to take his place and that he would rather have a military junta succeed him. Under the Constitution, the vice president succeeds the president if the latter dies or gets incapacitated. Yesterday, Duterte explained that he was just venting out his exasperation after learning that the funds intended for hospitalization and medicines of soldiers at the V. Luna Medical Center had been misused by some of its officials. The President recently ordered the relief and start of court-martial proceedings against Brig. Gen. Edwin Leo Torrelavega, head of the AFP-HSC; Col. Antonio Punzalan, commander of the V. Luna Medical Center, and 18 other individuals over alleged anomalies at the military hospital. Duterte said he allotted some P50 million to V. Luna Medical Center but this supposedly ended up in the pockets of corrupt military officials. “And so I said, because I will – you will, after I shall have stepped down, magulo ‘yan. Magulo ‘yan kasi sabihin nila,” he said. Duterte said he made the declaration not because he was afraid of the military or the police, but because he wanted them to toe the line and follow his order. He directed the officials of the uniformed services to “better shape up” because his commitment to fight corruption is on the line. His chief legal counsel Salvador Panelo, meanwhile, said President Duterte may have raised the scenario of a takeover by a military junta, as he is aware of constitutional “restrictions” that keep the leadership from getting things done. “Well, perhaps what he is saying is, if you follow the Constitution, there has been—there are many restrictions that will tie the President in doing things that should be done,” Panelo said in an interview with ANC. A military takeover, he said, could just be one of the scenarios in the President’s mind. “And a military junta, if ever there is one, would not follow the Constitution, and whoever is placed by the military junta could do things extra constitutionally,” he said. “I think the point is, right now, ‘I’m shackled by many restrictions.’ But again, knowing this President as he repeatedly said, there are powers in the Constitution that he can use, even without declaring martial law or declaring a revolutionary government,” he pointed out. But he could just be testing the waters after all, Panelo said, adding the Chief Executive has been transparent about his thoughts and feelings – something many Filipinos find endearing. 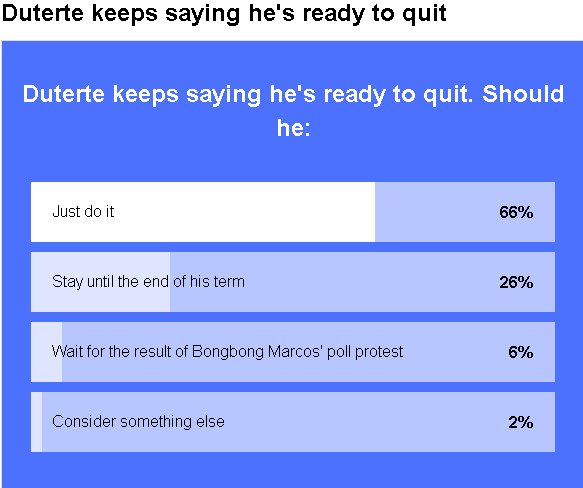 He also said he doesn’t think Duterte is resigning. 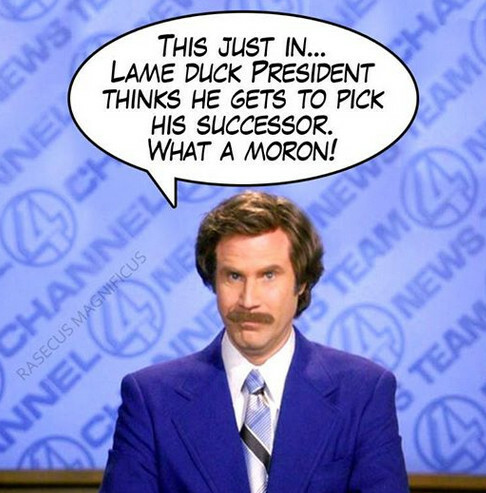 “He has been saying that he is not a kind of man that will stick or clinch to an office. If he sees and feels that the situation is ripe for him to step down, he will. But not now, I don’t think so,” Panelo said. He also doused speculations over the President’s health. “I think the statement was more of an expression of exasperation, a cry of sheer disgust over what’s happening vis-a-vis the drive versus corruption,” he added. The President’s “intention is precisely to tell the people that he is disgusted, exasperated, he wants to resign, but he will not do it,” he said. “He’s so pissed off, but knowing him, he is not a quitter,” Panelo added. He also said Duterte has no intention to influence the deliberations of the Presidential Electoral Tribunal (PET) on the election protest filed by former senator Ferdinand Marcos Jr. against Robredo. “I think that was more of a comparison between the vice president and Mr. Marcos given the qualifications that the two have,” Panelo said. “He just wants to compare this particular person to another,” he said. Panelo said Duterte has no power over other constitutional bodies such as the PET. “The President’s statements on matters pending in any court will not affect that particular jurisdiction with respect to any decision it will make,” he pointed out. For the Philippine National Police (PNP), backing a military junta is out of the question. “As far as the Philippine National Police is concerned, I thinks that’s also made clear by the Armed Forces of the Philippines – we will follow what’s written in the Constitution,” PNP spokesman Senior Supt. Benigno Durana said in a press briefing yesterday at Malacañang. He stressed the PNP is squarely behind the President and rule of law and that the people should be just as supportive to the administration. “We should learn from this migratory bird, the geese… they rally behind their leader when they fly long distances,” he said. “The rest of the flock is cheering, encouraging the leader, etc. I think that’s also holds true to us. We can go long distances in our journey as a nation if we’ll support and, you know, encourage our leader – in this case, our President,” Durana said. “That is why the PNP is working doubly hard to make sure that it implements the President’s order to go after illegal drugs as much as possible, not to give him a lot of headaches,” Durana said. It is only under Duterte’s watch that the PNP is getting full support, he said. 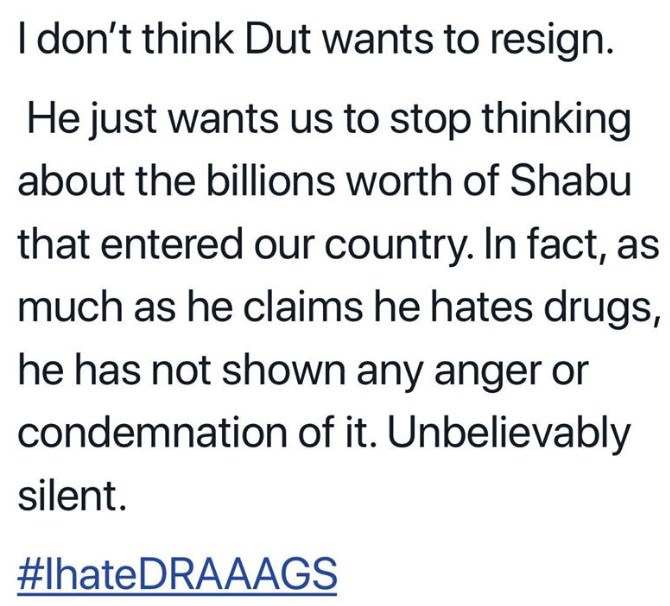 muntik na ran ma-stroke si Tatay Digong dahil kakaisip tungkol kay Bise Leni. alam ko na kung bakit ayaw gawing presidente si Cayetano ni DuDirty. If President Rodrigo Duterte endorses his daughter, Davao City Mayor Sara Duterte-Carpio, as a candidate for the presidential elections in 2022, Foreign Affairs Secretary Alan Peter Cayetano said he would be fine with it. Cayetano made the remark on Thursday in response to the President's statement that he would resign from his post only if the likes of former Senator Ferdinand "Bongbong" Marcos Jr. or Senator Francis Escudero would replace him. "If the President endorses his daughter as the next President, there's no question, I will support 100 percent. But if it's not his daughter, malamang suportahan ko," Cayetano told reporters in an interview. "But if it's someone na hindi ko kayang tanggapin, I'll respectfully tell him: 'Mr. 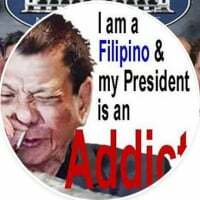 President, hindi kita kokontrahin, pero I don't think the record of this person is good,'" he added. Speaking at the dinner he hosted for the Kapisanan ng mga Brodkaster ng Pilipinas in Malacañang on August 15, Duterte expressed his aversion to the fact that Vice President Leni Robredo is his constitutional successor. 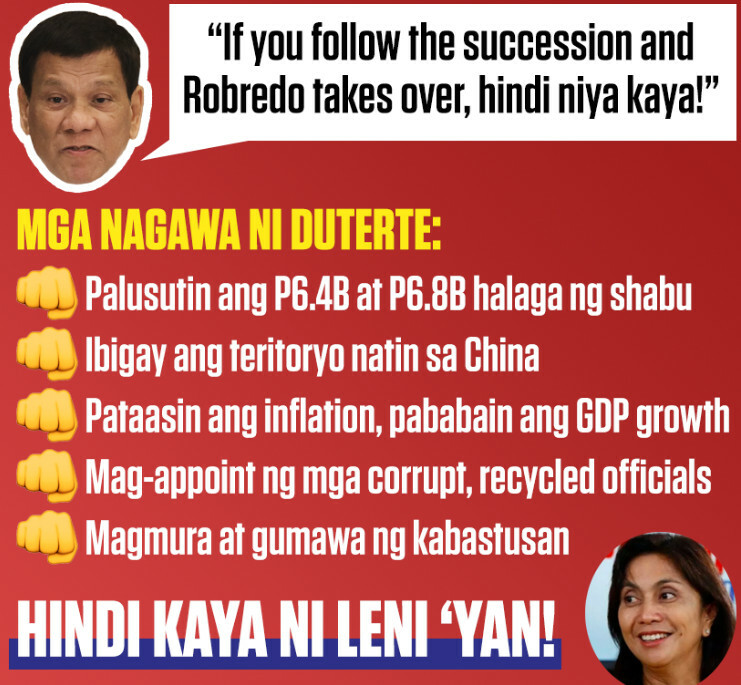 "I think deep in my heart, if you follow the succession and Robredo takes over, hindi niya kaya. That's my honest opinion ko lang. Kung na sino lang sana diyan, in the likes of Escudero or Bongbong Marcos," the President said. 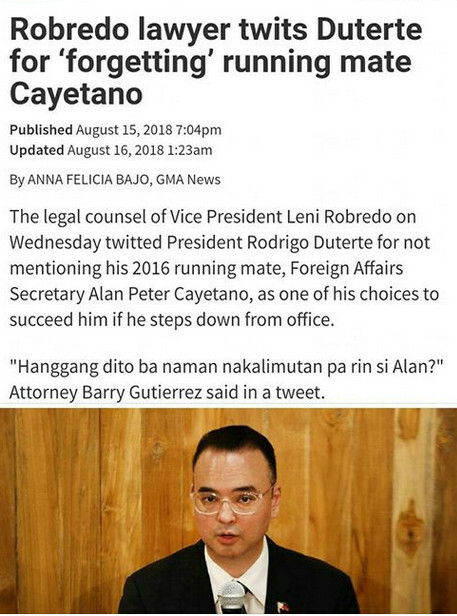 Even if he was Duterte's running mate in the 2016 elections, Cayetano seemed fine with the President's remark even if he was not named as a favored successor. "I'm very, very, very happy and fulfilled where I am now. I told my wife, if this is the last job na ibigay sa akin ng Panginoon, I'm happy," he said. "There have been instances in the past where the President recommended me, sometimes in private, sometimes in public. As a human, you get flattered, pero malayo pa e," he added. 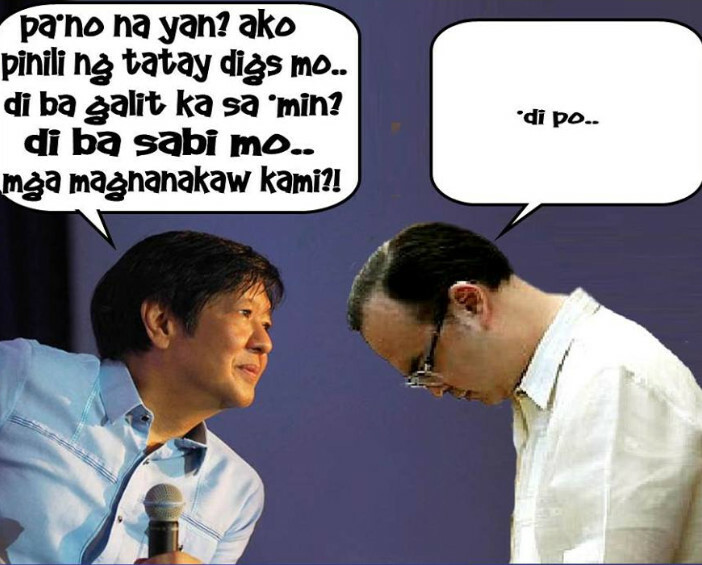 Cayetano admitted that he is getting tired of politics. "Politics is politics e, but when you're in the executive branch, you have a lot of work e. Uunahin mo pa ba kung sino ang ie-endorse nino?" he said. The Cabinet official, however, declined to name a person which he does not want Duterte to endorse. "It's too early. As I said ayokong mamulitika," he said. Despite losing the vice presidential rice, Duterte appointed Cayetano to the helm of the Department of Foreign Affairs. I used to think and consider Alan Cayetano a smart that cares about the Pilipino People but i'm 300% wrong. This guy is just a person that care about himself alone. It's CAYETANO or take a hike. You should not vote for this guy if he run for office again. He is the worst of a kind. Just a politician that's all he is. Boguk na writer talaga etong si pay me first ellen torde hahaha duterte already being 73 years old eh di napwese makulong. LOL! Tapos na ang election! 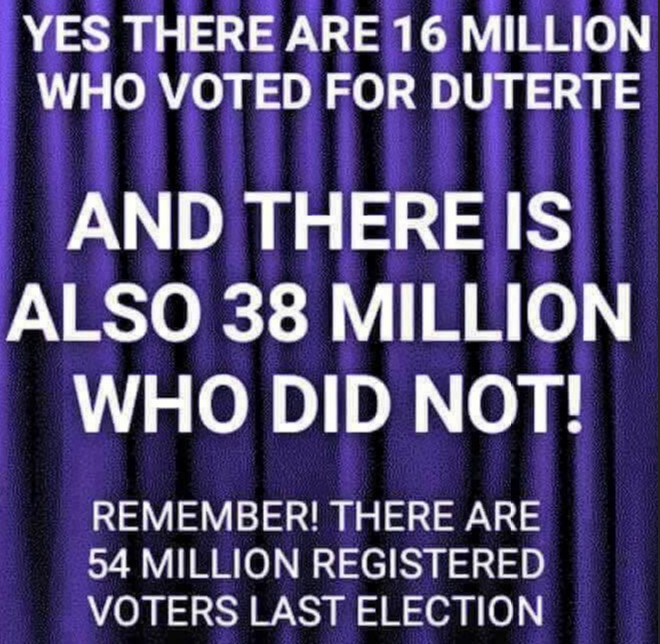 Hindi na boto pinag uusapan ngayon kundi popularity rating na. And he is still enjoying his good to excellent rating, survey after survey after survey!